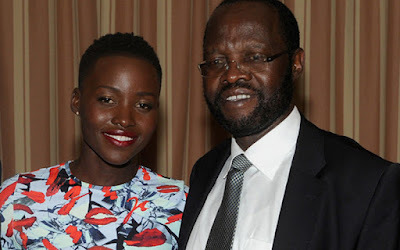 Professor Anyang’ Nyong’o, who is the father of Hollywood actress, Lupita Nyong’o and Kisumu governor has revealed he endured many sleepless nights courtesy of a beautiful woman who kept tormenting him with n-de photos. When the circus became unbearable, the governor reported the number to the police. “I blocked her number, but after a few months, she resurfaced with her rude and n-de pictures and romantic messages,’’ he explained.